Famed and acclaimed for his starring role as Admiral Firmus Piett in The Empire Strikes Back and Return of the Jedi, Ken Colley, who was born in Manchester, England, in 1937, knew from a very early age that he was already an actor. It was not until he had completed his mandatory two years with the National Service in the UK, when he was based in Cyprus during the Suez Crisis, that Ken, in his mid-twenties, became an Assistant Stage Manager with a weekly repertory company in Bromley, Kent. He stayed with them for three months after which he secured his first role in a television series called Ghost Squad. He then went on to join a group of players called “The Living Theatre Company” where he stayed for the next eighteen months. Ken’s breakthrough into cinema came via Michael Crawford who, having witnessed his professional expertise as an actor, recommended that he play the featuring role of a chauffeur in Michael Winner’s film The Jokers. In The Dance of the Seven Veils, the film director, Ken Russell, had asked Ken to play the role of Hitler, but in a Chaplinesque fashion. The film was being made for television and, when completed, was only aired once because of its outrageous content. During his long acting career, which spans five decades, Ken has worked with many famous actors including Laurence Olivier and John Gielgud; he was also involved with Laurence Olivier’s National Theatre company at the Old Vic in London as well as the Monty Python team. 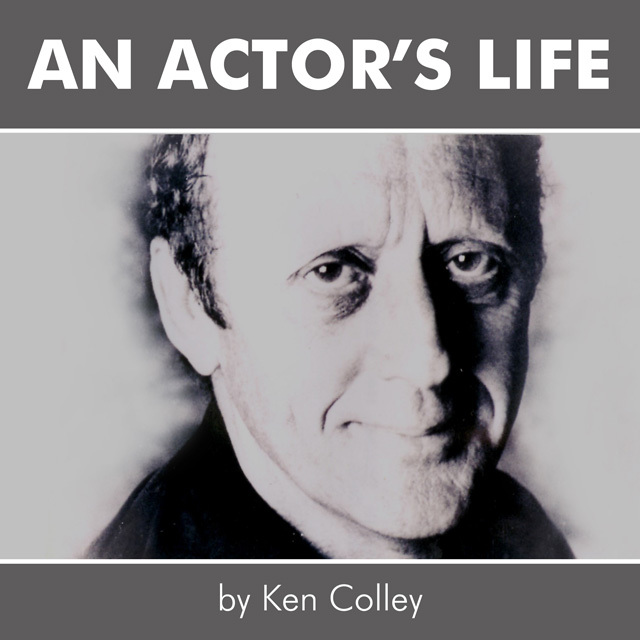 In An Actor’s Life, Ken sits on a comfortable leather sofa talking candidly and, at times, humorously, about his spellbinding and intriguing experiences of being an actor. His insightful look into the highs and lows of the profession is one which will give helpful advice to anyone who wishes to act or, indeed, anyone who is fascinated by the world of stage and screen. Ken has appeared in countless television productions, plays, and films such as The Music Lovers, The Devils, Mahler, Lisztomania, Les Miserables, Measure for Measure, Pennies from Heaven, The Life of Brian, Firefox, Mussolini: The Untold Story, The Whistleblower, Casanova, The Rainbow, Inspector Morse, Midsomer Murders, to name but a few. The two Star Wars films in which Ken played Admiral Piett – The Empire Strikes Back and The Return of the Jedi – continue, even today, to attract phenomenal audiences around the world. Ken Colley has an ardent fan base which stretches across the generational divides.